Thank you, NPR, which posted this photo of singer/songwriter Ryan Adams doing his thing at last weekend’s Newport Folk Festival. As you can imagine, this folk fest was littered with many amazing double denim looks – it’s kind of their uniform. See more on the Newport Folk Festival’s Facebook page: guaranteed to cure any case of the Mondays …. so much denim. 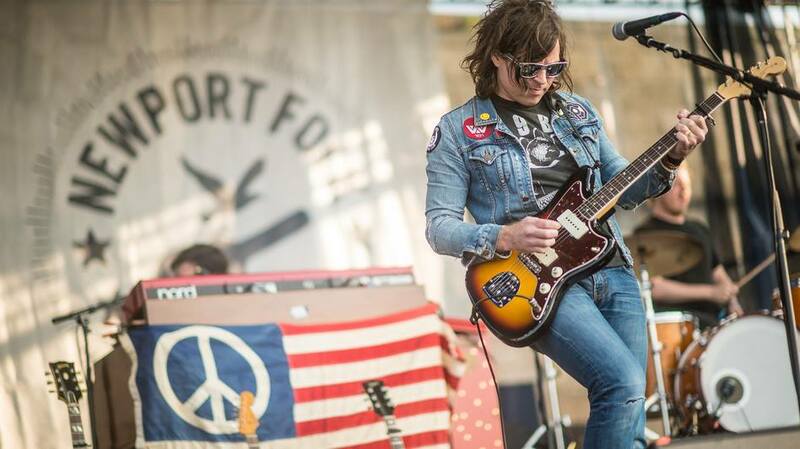 Listen to Ryan Adams’ complete set from the NFF here. This entry was posted on Monday, July 28th, 2014 at 11:41 am	and tagged with Canadian Tuxedo, Denim, double denim, folk, Jean Jacket, Newport Folk Festival, Ryan Adams and posted in In The Wild, Music. You can follow any responses to this entry through the RSS 2.0 feed.